This year's NBA All-Star game seems like more of a badass concert than a basketball game of note. 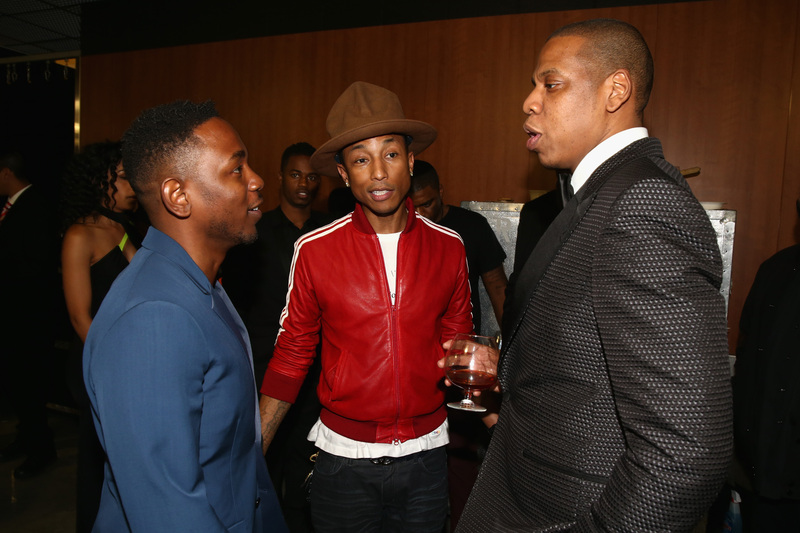 You've got Kendrick Lamar, Janelle Monáe, Pharrell — who cares who scores what? The NBA All-Star game is, of course, not exactly stocked to the brim with actual athletes: There's a Michael Jordan there, but he's of the variety with a prominent B. initial in the middle. There's also Nick Canon, as well as Grey's Anatomy's Jesse Williams. Kevin Hart's also playing again this year, even though he was ejected from last year's game for reacting unfavorably (read: with profanity, thrown sneakers, and efforts to remove his clothing) to a ref's call. This year will be my last year. If I can get a third MVP I’m done. I think this year they’re going to throw a lot of people at me to stop me, that’s why I’m in the gym now. The game's taking place in New Orleans on Feb. 16, and the legendary Earth, Wind, & Fire (all three!) will be making a musical appearance on top of those other young'uns.